Have a K'Nex fan? Right now, get this K'NEX Amazin' 8 Coaster Building Set for only $17.99 (Retail $32.99). 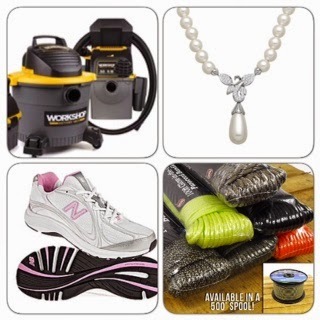 Daily Deals Round Up August 21st - iPod, Chaco Sandals, Canon Printer & More! Memphis 2-Piece Carpeted Car Mat Set $39.97 & More! Check out Home Depot because Today ONLY - take 30% off over 2,600 Team Fan Mats. Check out the University of Memphis 18 in. x 27 in. 2-Piece Carpeted Car Mat Set for $39.97 a set. There are tons to choose from - door mats, runner rugs, area rugs, accent rugs, cargo mats and more! NOTE: scroll down and click the banner More Options Available Shop Now - To view the full list. Kindle eBook Deals August 21st! If your needing a baby shower gift - Today ONLY - the Summer Infant Best View Digital Color Video Monitor is ONLY $79.99 (Retail $179.99). 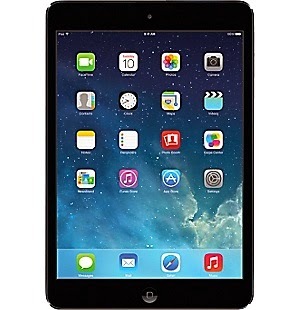 *HOT* Apple iPad Mini w/ WIFI 32GB $289 (Retail $429)! Here's really HOT discount. Right now Staples is offering Apple iPad mini with Wifi 32GB for $289 (Retail $429). iPad mini features a beautiful 7.9-inch display, iSight and FaceTime cameras, the A5 chip, ultrafast wireless, and up to 10 hours of battery life.1 And over 370,000 apps on the App Store made for iPad also work with iPad mini.2 So it’s an iPad in every way, shape, and slightly smaller form. 2 App count refers to the total number of apps worldwide. This is one of the lowest prices I've seen on a new iPad unit. I'd grab now before Christmas nears and prices will be higher or out of stock. Aero & P.S. from Aeropostale $25 off $100+ & $5 Shipping! Now through August 24th, Aero & P.S. from Aeropostale are taking $25 Off $100 Plus $5 Flat Shipping with code: 25OFF. Plus, save up to 70% off everything. Right now, you can get this Disney Frozen Wall Calendar (2015) for only $9.96 (Retail $14.99). I am sure these will be hard to find towards the end of the year so grab it now. HURRY over to get this The Elf on the Shelf A Christmas Tradition with Blue Eyed North Pole Boy for ONLY $15.58 Shipped!